Almost 12 months as Black Hops. We had our first commercial release/launch of our Eggnog Stout at Hooha Bar on November 2 2014. Probably our Beach House, our more local take on a farmhouse ale. It’s the one that took the most home-brews to get it to where we wanted it to be, we think it’s a little bit unique & we all really just enjoy drinking it. It’s been our biggest seller also. You have the ability to brew beer without the expense of owning a brewery is the obvious answer. But also a way to get your foot in the door and see if it’s for you. The main struggle is that tank space is quite rare and we have limited options in QLD. It’s also quite expensive & certainly not something you can make a living on, not in QLD at the moment anyway. Try and be as self sufficient as you can be. Examples of this would be get your Producer/Wholesale licence as a priority. This means you can sell your beer under your own licence, but it also means the brewery you brewed out of doesn’t have to chase up your unpaid invoices, you have to do that. Look to get your own kegs or use keg star. Kegs are expensive & just another thing the brewery you are brewing out of probably don’t want to be trying to keep track of on your behalf. Also whilst it’s not really a thing in QLD yet, but in Melbourne, it’s quite common that gypsy brewers will own a fermenter at a brewery, it’s just another example of being self sufficient. 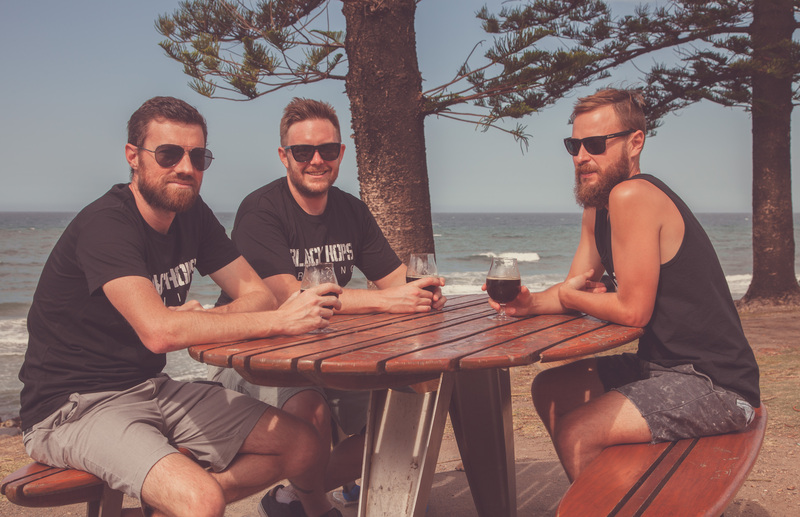 You can check out Black Hops and their ‘Pink Mist’ raspberry saison, along with many others at the ‘Tipsy with the Gypsy‘ event, put on by the Brisbane Beer Barons at The Mill on Constance, October 17th. They’ll be on hand, some with some special one-off brews, and to serving up some chat. Tickets are available on Event Brite, so get them now!